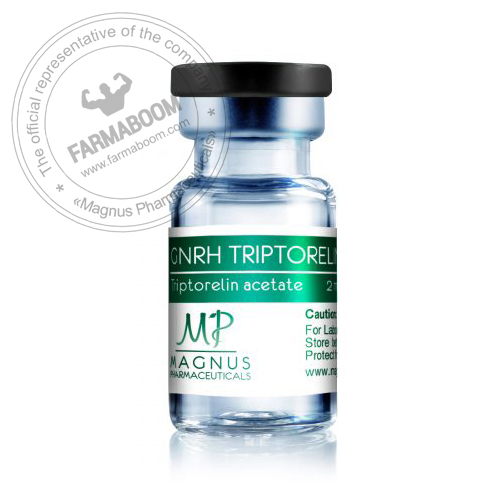 Triptorelin acetate 2mg Triptorelin, a decapeptide (pGlu-His-Trp-Ser-Tyr-D-Trp-Leu-Arg-Pro-Gly-NH2), is a gonadotropin-releasing hormone agonist (GnRH agonist) used as the acetate or pamoate salts. Triptorelin raises testosterone levels by causing constant stimulation of the pituitary, it decreases pituitary secretion of gonadotropins luteinizing hormone (LH) and follicle stimulating hormone (FSH). Like other GnRH agonists, triptorelin may be used in the treatment of hormone-responsive cancers such as prostate cancer or breast cancer, precocious puberty, estrogen-dependent conditions (such as endometriosis or uterine fibroids), and in assisted reproduction.